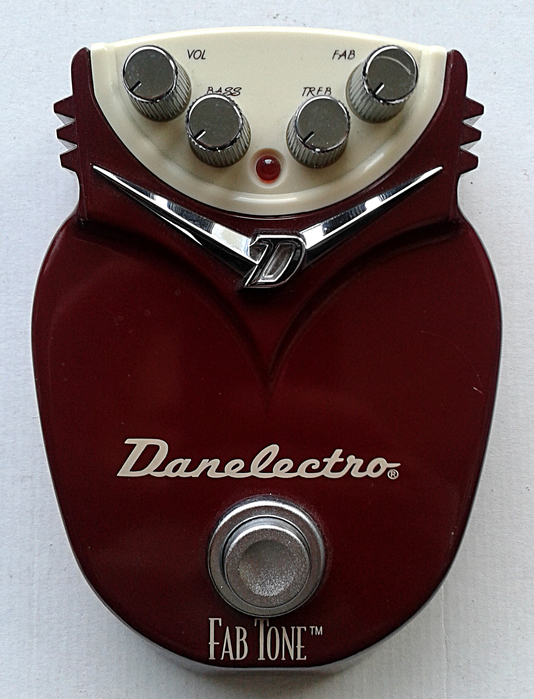 Danelectro DD-1 Fab Tone Distortion from Dano original series. 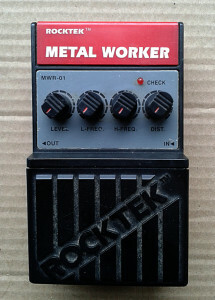 Made in china around 1997. Distortion from original series.. Since all the others have certain vintage vibe to their tones, i had no expectations one way or another. On the other hand, i’ve had this unit for years now and it’s not that easy to write about it as this was my first encounter. 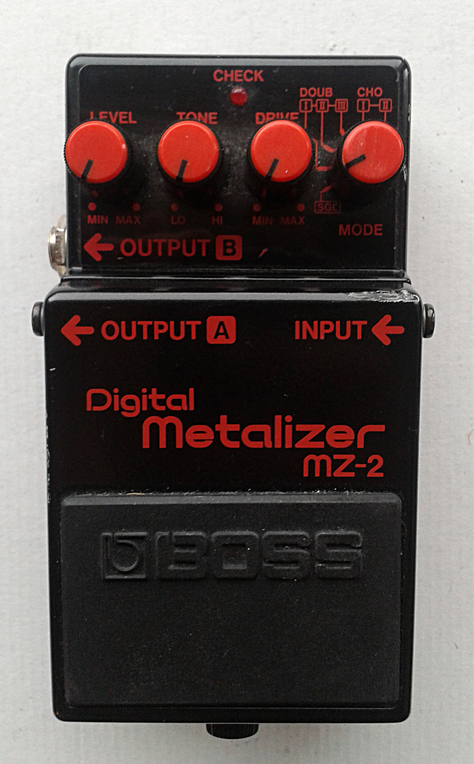 There have been rumours about the design being a slight derivative of Boss MT-2 Metal Zone. Sure. Both are guitar effects. 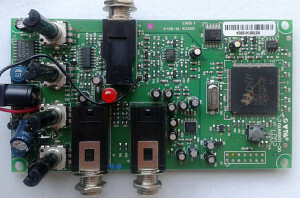 There is a floater schematic available. Huge image, and there are some similar parts in there. But i would not call this a Metal Zone. Nor even a derivative for that matter. Very decent high gainer, with good EQ controls. These units should give you usable lead tones for decent price. For the brave one, this could serve as a good mod surface too. Lower gain and not as shrilling highs would be something i would go for. But. Since i don’t have a double and this unit is in nice condition. Nope. Not modding mine. Either way. Think of something between a Marshall Shredmaster and a Boss Metal Zone or Heavy Metal. 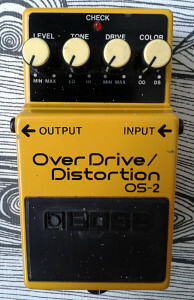 This is way more of a distortion than an overdrive, but there is plenty of tweakable usability in there. Not a bad pedal. Danelectro DW-1 Dan O Wah. Made in china in around 1997. I sourced this one a long time ago. If i recall correctly, i got it in a trade and there was (and still is) very little traces of use. Gee. I wonder why. 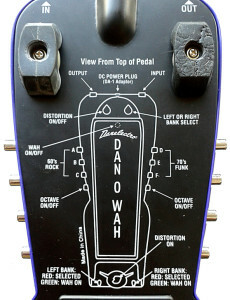 That being my first thought about all Dano rocker pedals, i didn’t have too high hopes. I do recall this not working at all when it first arrived. 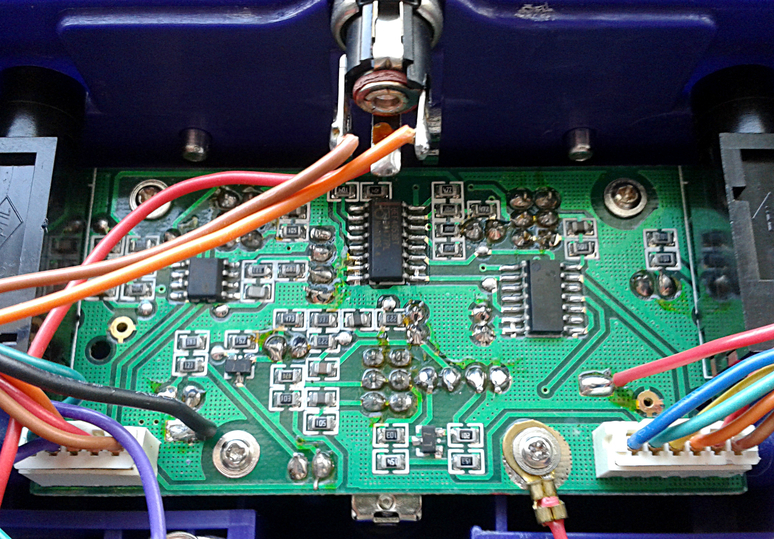 After checking it, the only issue was just loose solder joint at the DC jack. Unit worked fine with a battery and that’s how the seller deemed it as “working”. Quick and simple fix later i was ready to do some more studying. 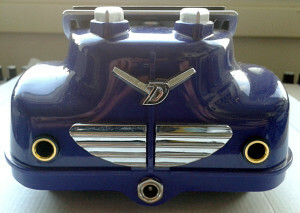 The outside of the unit is per the rest of the rocker pedals. Looking like a car and having it’s rubber feet looking like wheels. 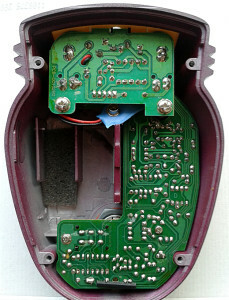 As the controls are not conventional pots, the idea of having the user manual printed in the bottom is not a bad one. 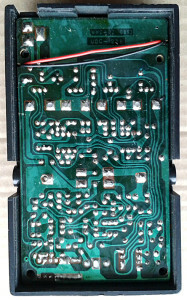 The number of features pictured in the manual shows that there must be more to the circuit than just a standard wah. After all, we are talking about six different wah voicings, all with and without added distortion and up octaves. Opening the bottom plate confirms my suspicions. Yeah. This hasn’t been drawn over a coffee break. This amount of components and features is something that comes by once in a while, but it’s not your average “let’s just copy the cry baby and leave it at that”. I’m not going to dig too deep into how it is made. 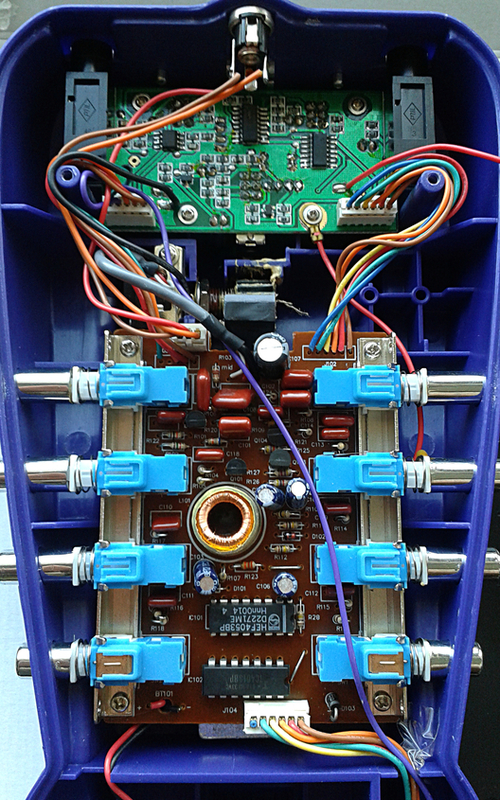 I do have my suspicions about the electronic design(s), but i’ll talk about those a bit later. 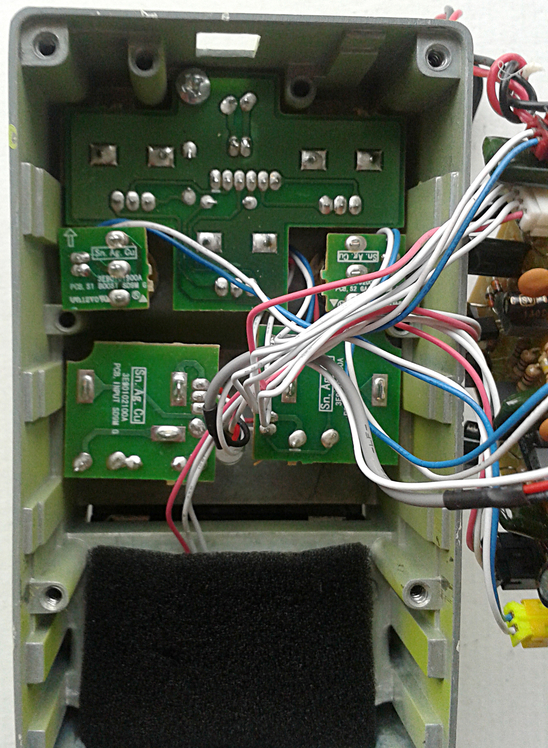 To begin with, the electronic design has number of switch circuits to select between the modes and banks. The idea of using “banks” in simple analog effect isn’t that common. The “exhaust pipes” act as push buttons that choose the wah mode and if the octave is added or not. 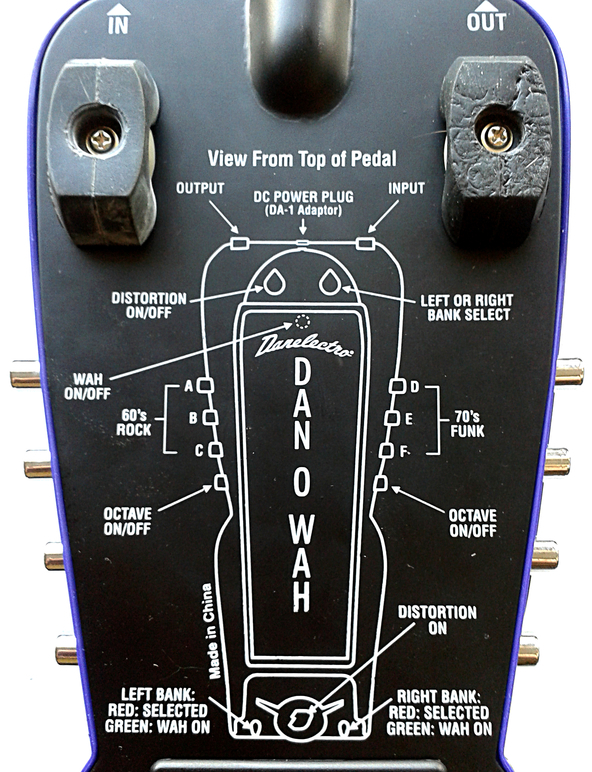 Bank, wah and distortion can be turned on with the stomp switches on the front end. 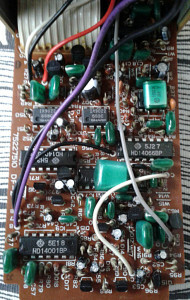 This means that the octave can be used in the other section of 60’s/70’s style modes and the second can be without it. Distortion can be engaged from the top buttons separately. 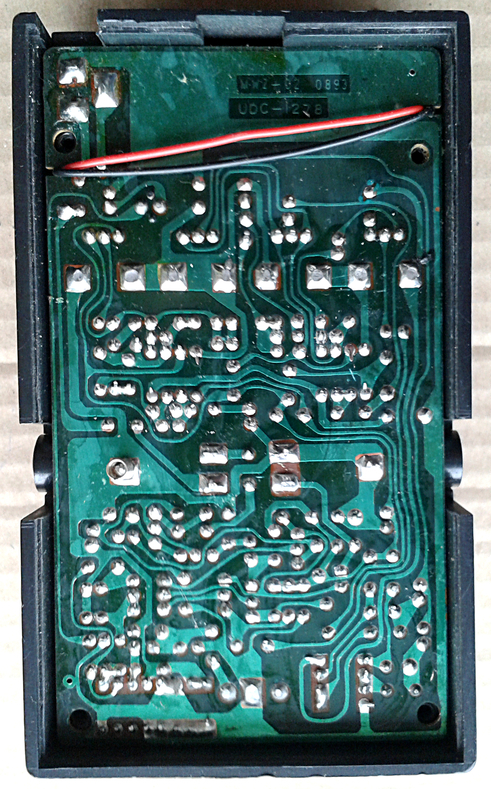 Through hole components on the wah/octave board seem nice. Mostly metalized polyester caps. If the enclosure was metal or just sturdier, this might have been a big hit. Other than the enclosure, there is very little wrong with this effect. 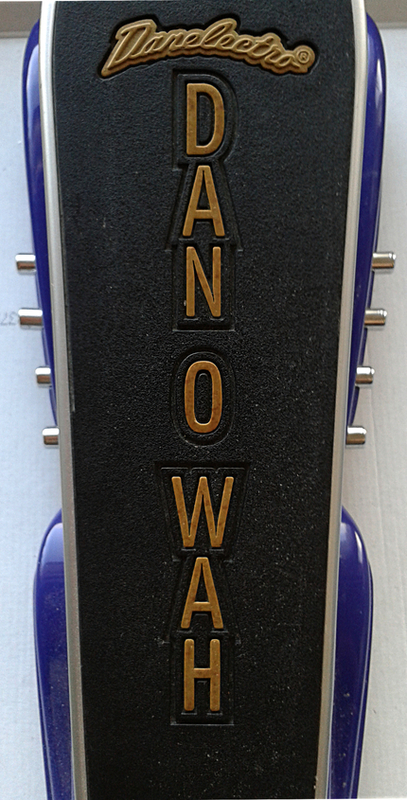 At first, pretty standard wah with couple of different voicings on the switches. Add the octave up and the good vibes are coming closer. Add the distortion, and we’re at tonal beach sipping ice cold pina coladas with no hurry to go anywhere. Wah tones are, well. Standard. Not too far off from your basic Cry Baby and/or Vox wahs. The distortion feels generic, but it works great with the wah. Now, when the distortion and octave are both added it’s almost like we have fOXX Tone machine paired with vintage wah. Not bad. But the platicky feel and utter unroadworthiness give their weight for the unit. Due to these shortcomings, DW-1 won’t ever reach the status the design would deserve. Close, but no cigar. I still haven’t been able to score the original, classic Sonic Distortion for a reasonable price, but i did manage to find this one a while back. And as usual, i needed to see what it’s made of. 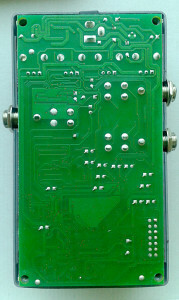 The box is a modern version of the familiar classic with a battery door and four screw fixed bottom plate. 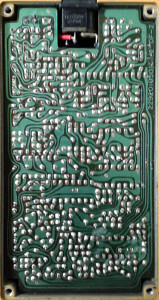 Followed by a insulating plastic between the circuit board and the plate. The circuit is fastened to the box with another screw. 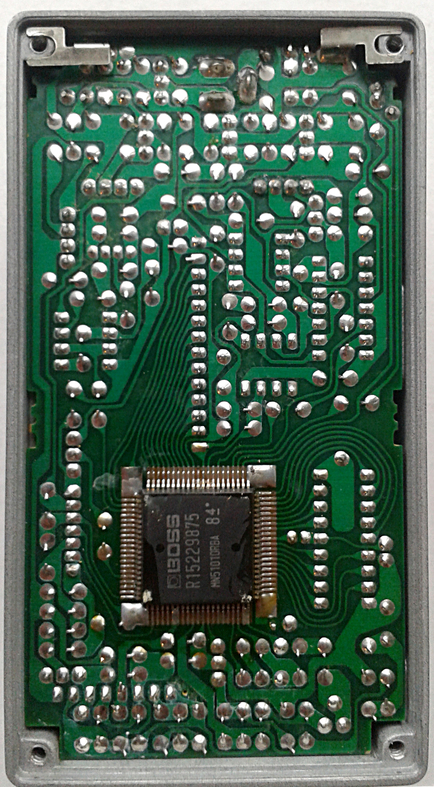 What comes to the board itself, this looks like all the modern 9-serie boards. More modern than vintage units, but still quite neat. Similarities with the other new niners continue once the main board is lifted. Everything is board mounted, but still keep the feel high. 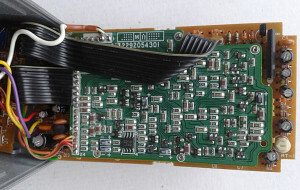 Offboard wires are connected with plastic terminals to keep the manual labour in reasonable scale. 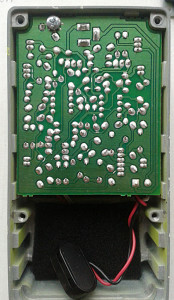 As with 7-series, all the different parts have their own circuit boards. One for main board, one for control pots and one for each in/out jack. 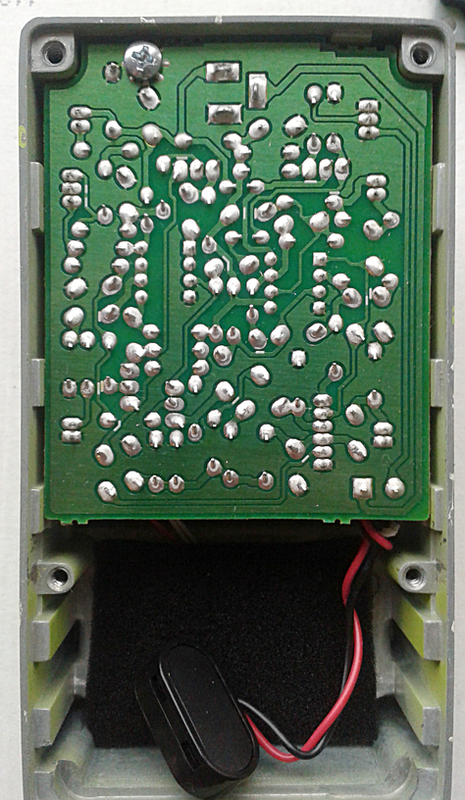 In this case, even the two toggle switches have their own PCBs. What comes to the design, there is a traced schematic (sans switching circuitry) up at Aion’s page. When compared against the original, non-mod version, there are a number of differences, while a few key parts are in tact. 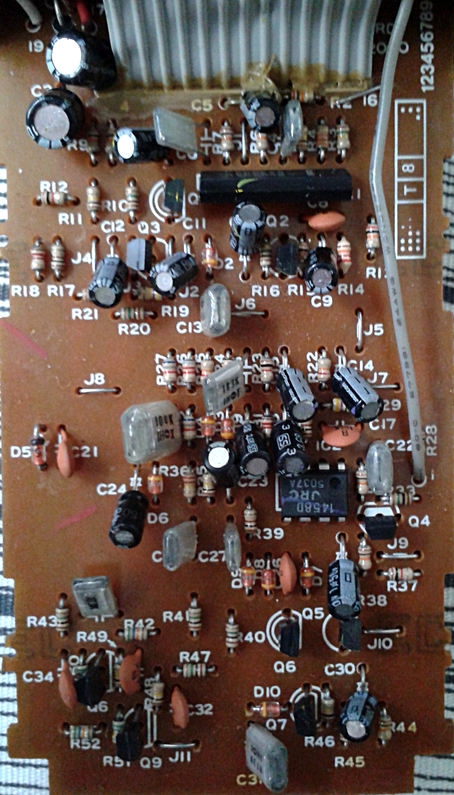 Both versions have a transistor based input buffers, followed by a gain amplifier opamp channel. Next up, tis version has a gain switch which sets the gain from normal no amplification in one position to the second which has 10 times the level. 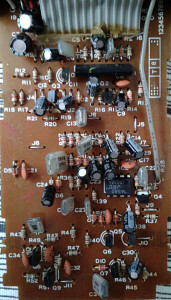 After those it’s the hard clipping diodes shunt to ground and the tone control. 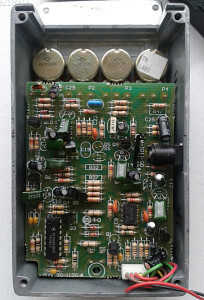 The not completely different to big muff tone stack section has also a switch for swapping a cap value for the one that handles the low pass filter. 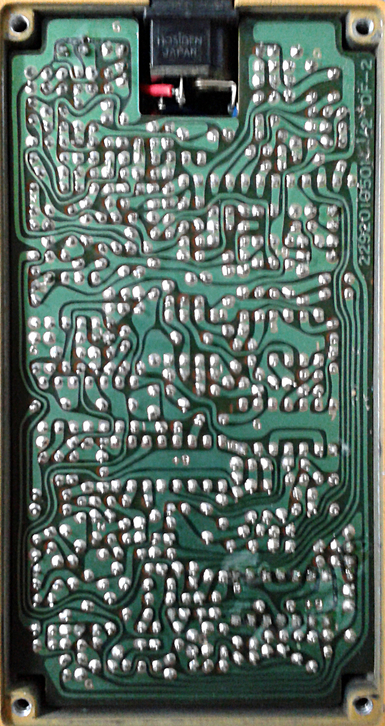 While i do not have the original SD9 at the time writing this, i’ve played around with the circuit on a breadboard and cloned it. If my aural memory serves me even remotely right, there is still the same powerful and neat distortion present for both models. Soaring and definitely usable. But for the added gain and versatility for this mod version, we have a very nice distortion tones that are very much relevant today. High gain mode can still boost the modern high output pickups while still sounding great. And the non-boosted mode will give the sound and feel of the original SD9. 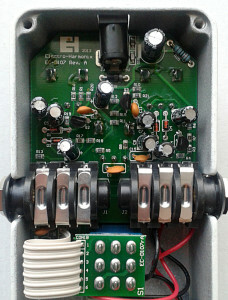 Although it’s all relatively simple and there isn’t any super high wow-factor in the design, i was blown away when i first tried the circuit. It may be due to its simplicity, but man it sounds great. 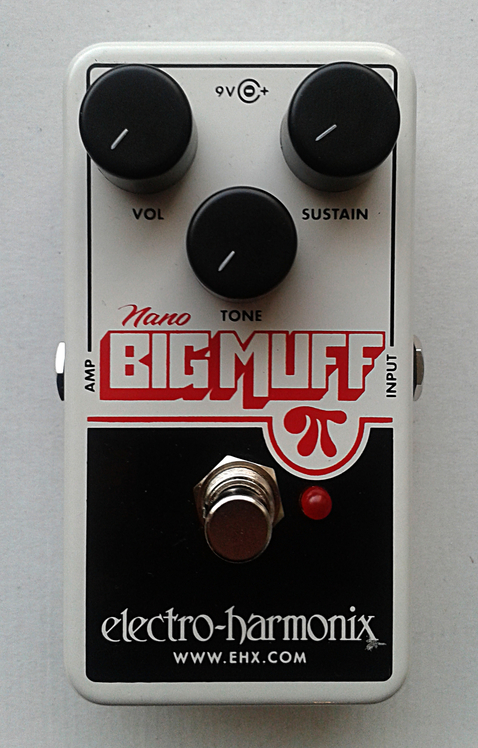 Recommended pedal to try out. Boss MZ-2 Digital Metalizer from Boss Compact series. Made in japan, july 1988. Now, since i’ve lately been looking at these late 80’s analog/digital hybrids, this may be a decent unit to continue with. 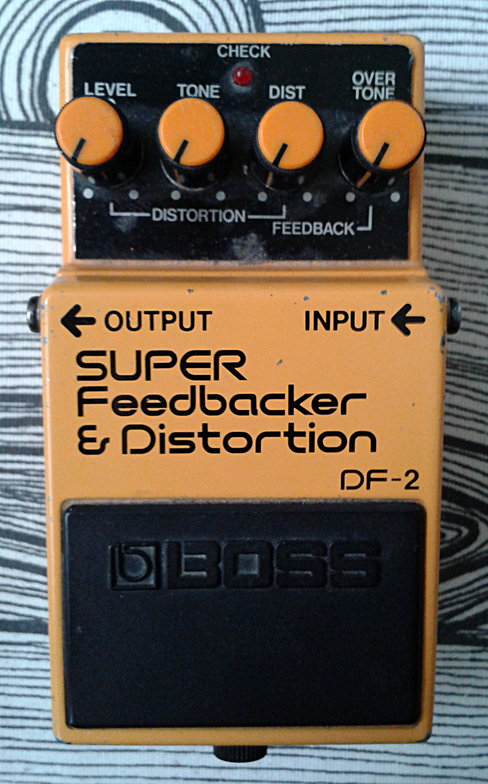 We are looking at Boss’ take on the distortion plus delay/chorus effects that were widely available back in the day. 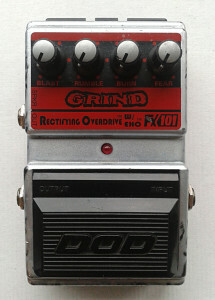 DOD had it’s own as “Hard Rock Distortion” and Ibanez shuffled the deck with its Session Man pedals. I’m quite sure there were others trying to take the markets too. There sure was i time and demand for this kind of combination back then. While the competition had the delay and chorus lines done mostly by analog methods, Boss aimed for the moon and made it digital, while leaving the distortion part analog. Once the bottom plate is removed, my reaction was to freeze for a few seconds. Wow. 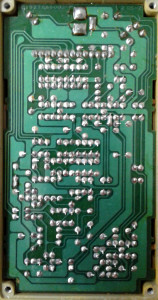 Part of the traces look like good old japanese hand drawn beauty, but the digital signal processor’s small traces try to keep up with the old school design. Those thin, round traces at the right hand side of the DSP look very pleasing. 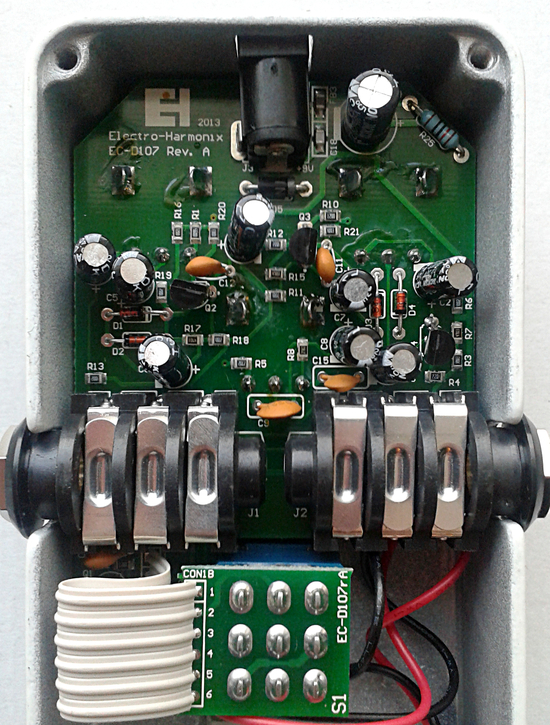 As with other digital Boss pedals of the era, the mixture of through hole components and SMD parts is in place. In addition to having two separate, stacked boards to accommodate everything. While these combo effects do not interest me all that much, i must say i find this unit very appealing. What comes to controls, we have our basic three knob layout for the distortion part, including gain/distortion, tone and volume. The digital section has only presets for being off, having couple of different choruses and delays on or off at the same time. Lack of more controls to the digital part feels kind of boring, but the presets are actually quite good. 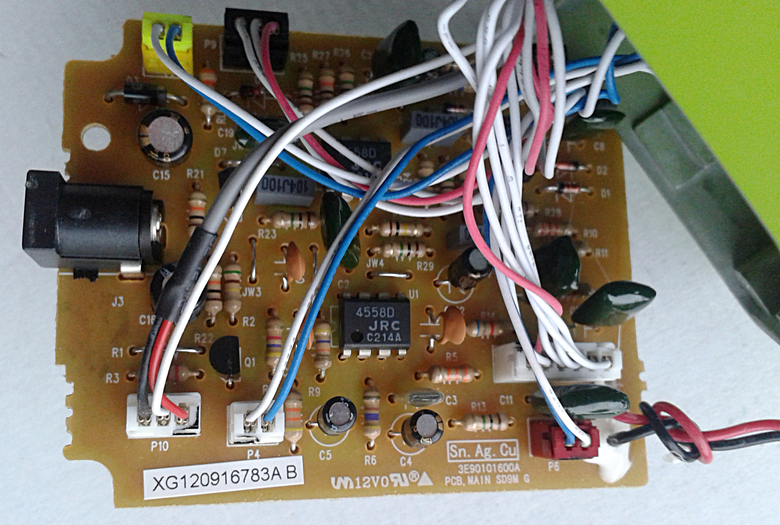 Sadly, i couldn’t find a schematic of the analog board to confirm how the distortion part is made up. I think there may be similarities with other Boss distortions, but there must be something different in there too. Very much usable distortion. 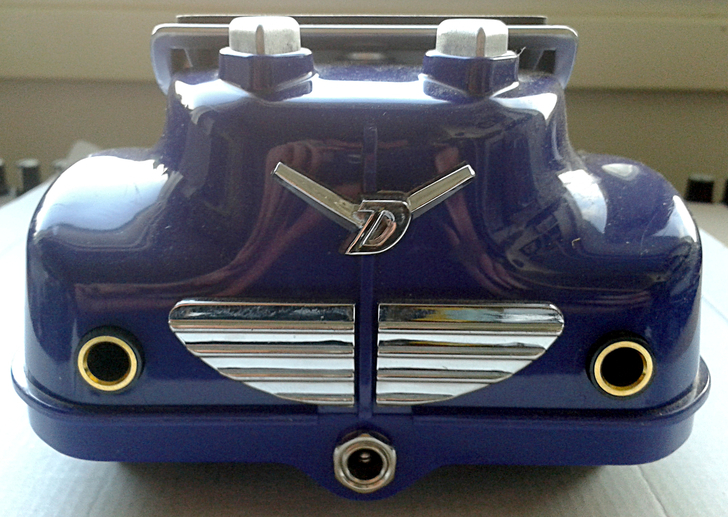 Kind of like DS-2, but with certain amount of personality thrown in. For the distortion side, this may very well be one rare boss effects with a real personality. 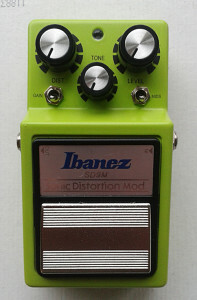 They could have offered the distortion part as a separate pedal, but since the modulation/delay can be turned off, it doesn’t matter all that much. For the delay and chorus modes.. Well. If you want the sound of a late 80’s hair metal lead solo for your tapping pleasures, this is the pedal that you really need. It is fun to play around with this. Sure enough, it kicks the living daylights out of the competition. 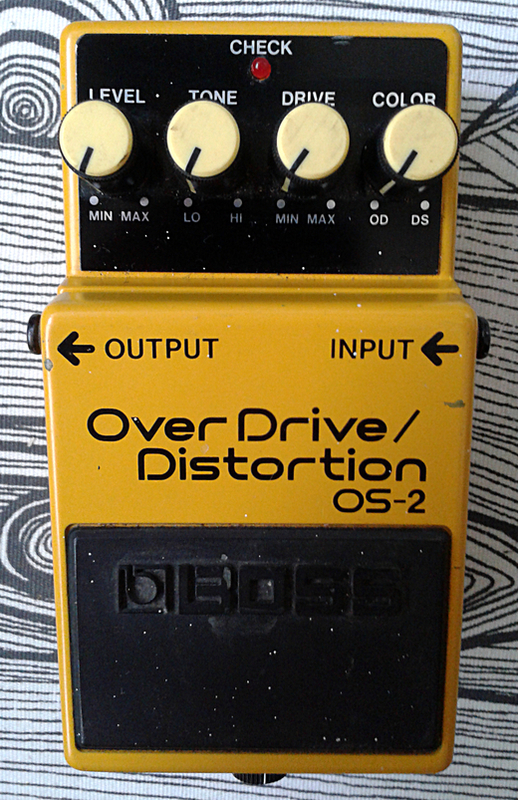 Boss OS-2 OverDrive/Distortion. 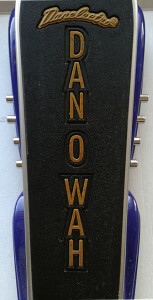 Made in taiwan, january 1996. I was rather keen on trying this one out. I find the idea of OD and Dist made blendable in a single unit intriguing. 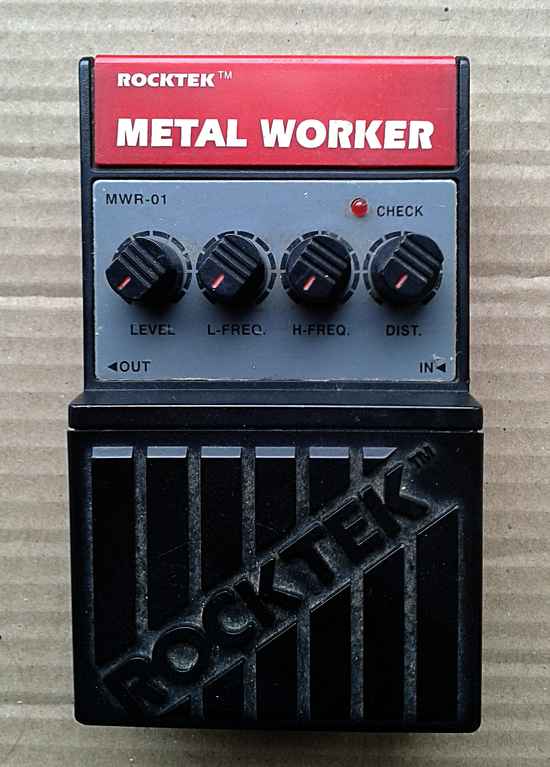 This, among with other basic or classic hits as DS-1 and SD-1 are probably the cheapest and most common boss pedals around (sure the number of Metal Zones sold may top everything, but still..), so the money spent versus the fun had was nicely in balance. Before digging any deeper, let’s take a look at the board. 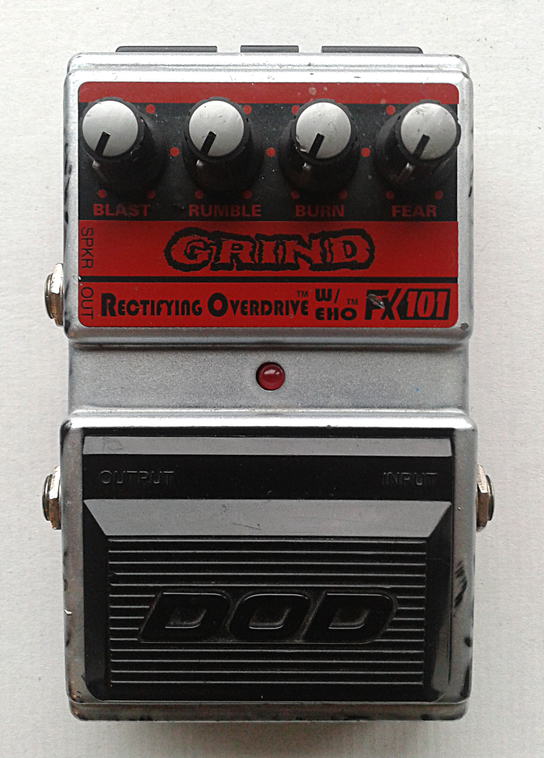 Just as one would expect from a boss pedal that was released in 1990. All the japanese hand craft pointers are already gone and CAD software with auto-routing feature has been in use. Nothing even resembling a visual beauty has not been a part of the board designing process (yes, you can argue that it doesn’t have to be as much as you want). So no matter what way we look at this, it is just dull looking, but well functioning board. There would have been room on the board to place things differently, but why bother. It’s not like anyone else than some pedal freak/enthusiast will ever be looking at the board from a visual perspective. But let’s look forward. There’s a traced schematic up at FIS. This is where things get a lot more interesting. The switching and input buffering are per most analog Boss boxes, so nothing of interest in there. After the input buffer the incoming signal is split in two ways. 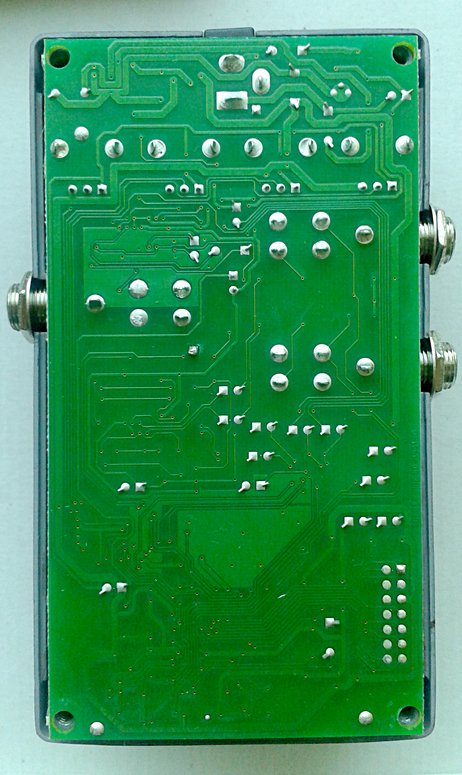 The upper part in the FIS schematic resembles a ProCo Rat with its dual high pass filters and hard clipping. The WTF points go to post clipping filtering. After this filter network, that sort of mimics the filter control on Rats, there’s an buffer stage, followed by a mixer amp that takes care of the mode mixing with a pot called “color”. But we’ll need to back up a bit. 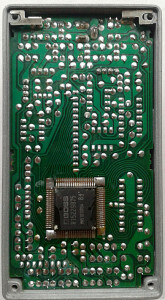 The second path from the input buffering was sent to an overdrive stage. 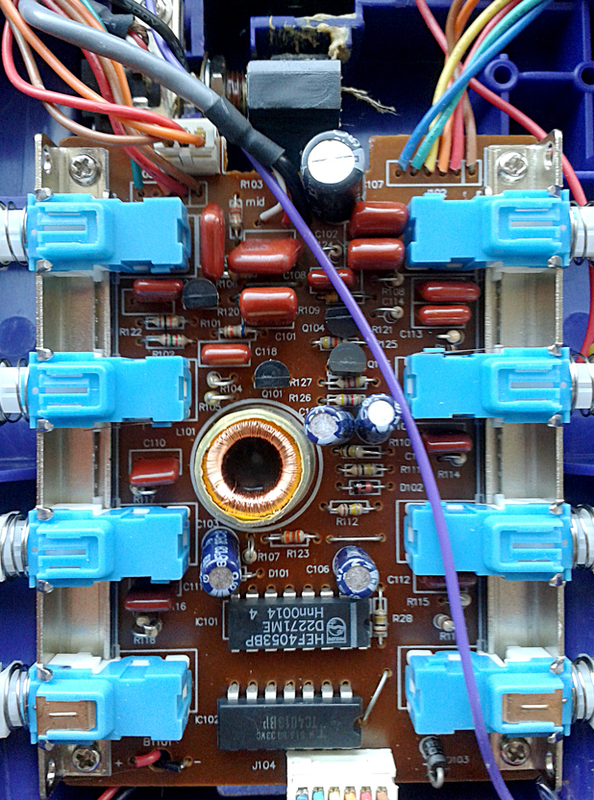 This stage isn’t a lot different from SD-1 clipping amp with its asymmetrical clipping diodes in the feedback loop. There is more gain coming out of it and the high pass filter is set lower than in Tubescreamers or Super OverDrives. 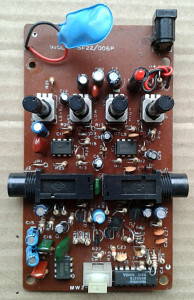 The output of this clipping amp is then fed to the other side the color pot. The gain setting is the most peculiar thing in this design. 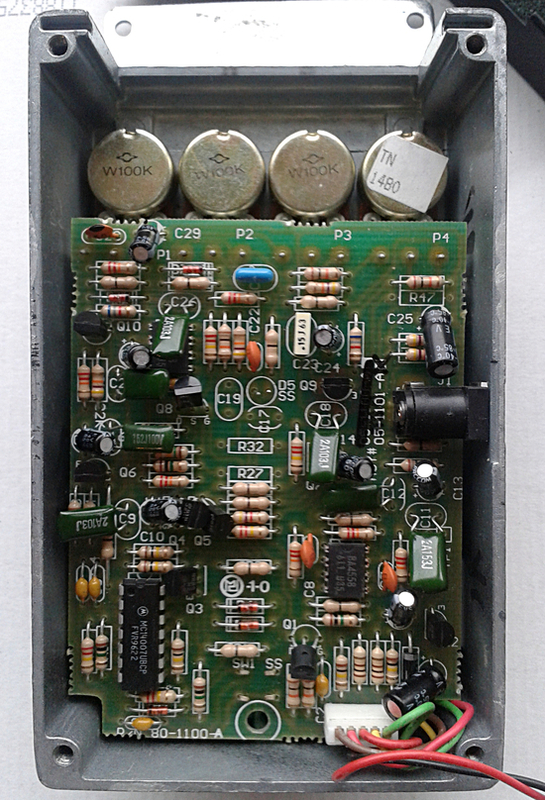 It’s a dual (or as some folks like to call it – a stereo) pot with value of 270K that sets the feedback resistor for both sides simultaneously. 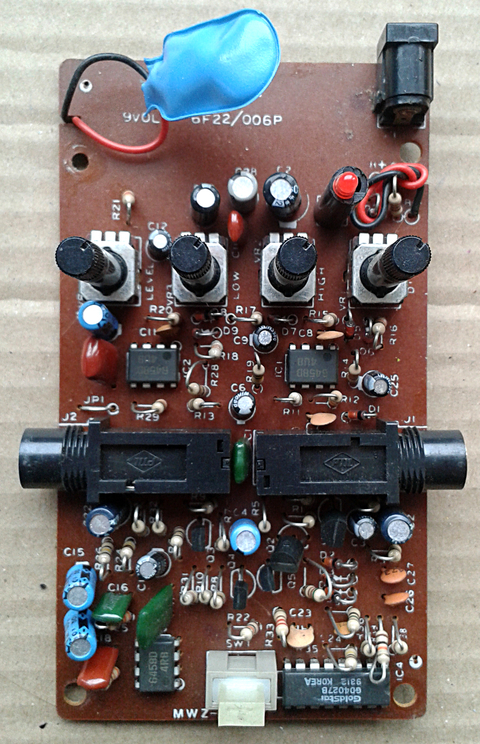 Rest is just the tone control not completely unlike the one in SD-1 and the output buffering. So yes. There is some effort in the design. I’d even go to lengths to call some parts of it interesting. Simple, but convincing. Nice design in a cheap package. But then comes the issue. Not that great. If we start with the OD side of the color pot, the biggest thing that the sound does is raise eyebrows. Maybe even shoulders. It mid honks its way to the drive-in and leaves you with warm cup of soda and cold fries. But the distortion side of the color pot is the burger. Double cheesed and not bad at all. It sure does remind me of a Rat, but not to the degree where it would be “something alike”. Nope. It’s sleeker in its tone and does not go as mushy. Not a Rat, but not a DS-1 either. 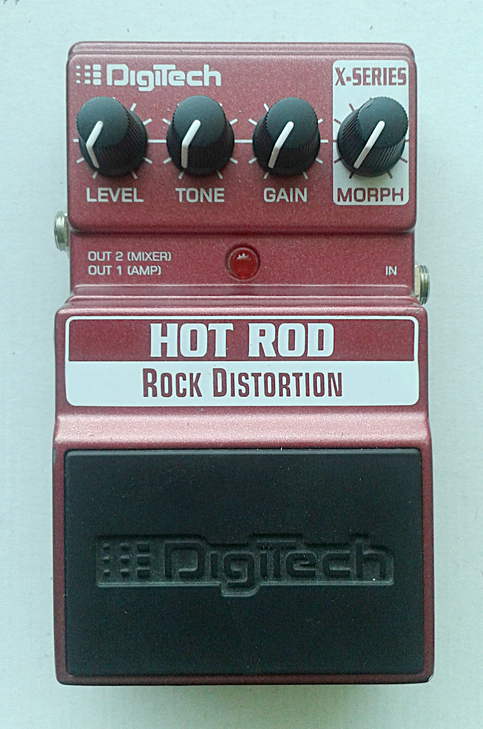 Good sounding distortion that goes closer to DS-2 Turbo Distortion range. So overall sound of the pedal isn’t too impressive. But it isn’t bad. These do come cheap, so you might as well get one. Hope you like your soda warm, fries cold and burger delicious. 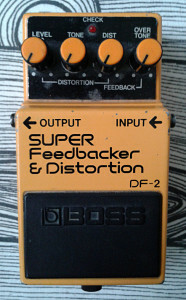 Boss DF-2 Super Feedbacker & Distortion. Made in japan, november 1985. At first, the DF-2 has a history that is worth mentioning. 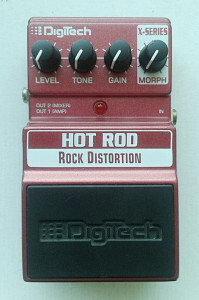 The unit was originally called Super Distrotion & Feedbacker, but since DiMarzio owns the name”Super Distortion”, Roland was forced to change the name. Similar thing happened with DOD’s “Supra Distortion”, which was originally also called Super. Anyway. Due to this legal battle, there are two cosmetical versions of DF-2 in the wild. The original with infringing name, was only manufactured for a short period of time (approx. four months) and that version has become remarkable collector’s edition. As usual for Bosses, the manufacturing moved to taiwan in 1989. 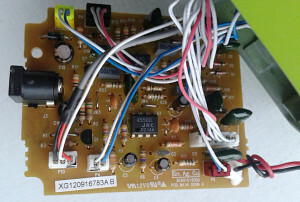 The circuit had a revision in 1991 when the ACA power supply requirement was dropped. Design was discontinued in early 1994 and later replaced By FB-2 Feedbacker/Booster. There is a schematic for DF-2 floating around the webs, so you should be able to find it if you need it. Got mine in a trade with usual “faulty” label. The faulty part was just a feature with the (idiotic) ACA power supply not playing nice with the modern standards. The older japanese board designs are always impressive. Even more so for the complex board designs, such as this one. 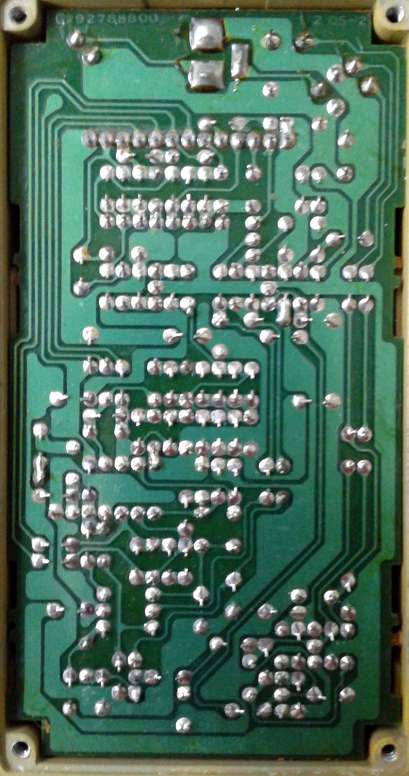 Just look at the number of solder joints and the acid trip traces in there. Definitely not the simplest circuit we’ve seen. 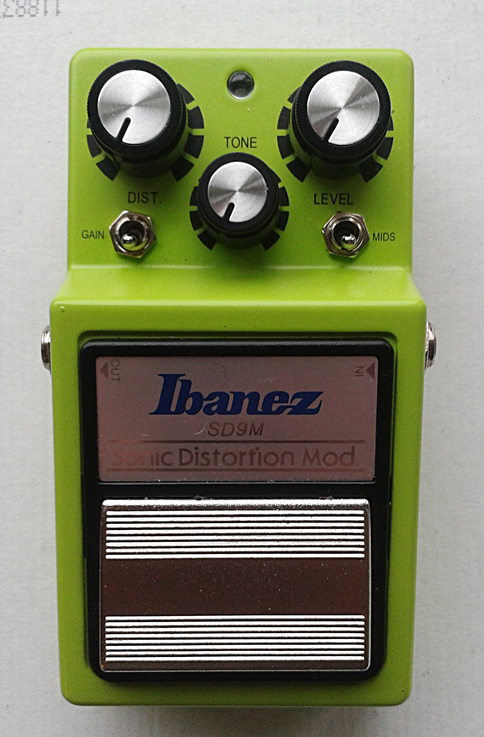 As the fetures go, we have our distortion that reminds us slightly of DS-1, with basic gain/tone/level control. Then we have our Overtone knob. This knob controls the amount of distortion for the feedback one can activate on choice by holding the bypass switch. More distortion for the feedback gives out more harmonic overtones for the rising squeels. 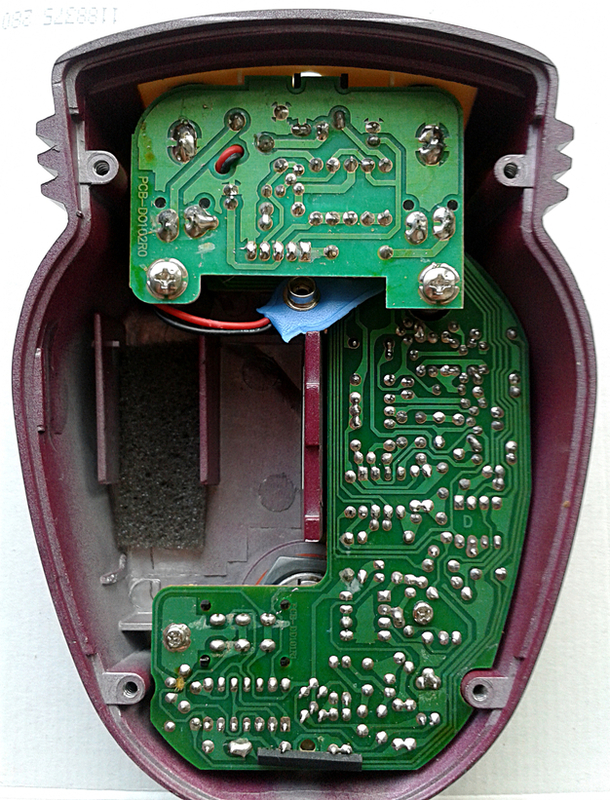 So in essence the unit is a distortion with active electronic feedback that can be activated when needed. It is an idea that was something new and innovative back in mid 80’s. The method how this effect was achieved isnt’ too simple, but it did change something in the mindet of effect designers. Designers weren’t bound by just copying the ten to twenty classic circuits and improve on them anymore. In other words, and in my opinion, these kind of breakthroughs paved the way for all digital effects. Progress isn’t always good or bad. But it is always progress. The distortion tone has a similar feel as the DS-1 Distortion, but whilethere may be similarities, the DF-2 has more balls. 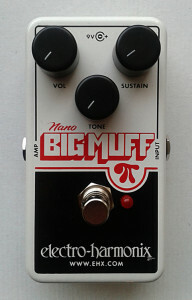 Maybe it’s just a bit more low end and possibly a bit more gain, but that is enough to sound better, meaner and fatter. When one holds the lid, the rise of the feedback acts very much like standing in front of a Marshall full stack would. So the feedback sounds and feels more organic than one would expect. This unit sounds like a milestone. Mainly, because it is. Entries (RSS) and Comments (RSS). 50 queries in 0.146 seconds.